See all exhibitors for the 2019 IBWSS below. A huge thank you to all of the exhibitors for your support of this conference from the NSBC, NWSC, and NASBLA! Absolute Outdoor, Inc. specializes in bringing market leading innovation to the sporting goods, outdoor, and marine markets. Located in Sauk Rapids, Minnesota, the sales and marketing company became officially established in January, 2009 and offers the FULL THROTTLE water sports and ONYX outdoor recreation brands for today’s active lifestyles. Autotether is the leader in wireless engine cut-off, man-overboard alert systems. The Autotether™ system requires no installation and is used by recreational boaters, sport fisherman and law enforcement agencies worldwide. Many of your favorite Stearns® products are designed, made and assembled in the US. Stearns®, a subsidiary of The Coleman Company, Inc., is investing millions of dollars into the Sauk Rapids, MN facility where these world-class products are designed, tested and made to higher standards. It’s just one more way we bring quality, safety and innovation to the water. Feel Good, Inc. is dedicated to helping cure chronic and acute pain from the moment it starts. We have seen the harmful impacts of repeated painkiller use and the ineffectiveness that many pain alternatives have offered suffering patients. TENS therapy is the solution that chronic and acute pain sufferers have been looking for, and we want to make sure that they receive the quality goods to help them get better. Feel Good, Inc. is here to sell quality TENS units and TENS unit accessories and help you on your path to pain relief. Kalkomey, and Fresh Air Educators, are North America’s leading provider of recreational safety education. Kalkomey produces print and Internet courses that have provided official safety education since 1995. Kalkomey offers safety courses in boating, hunting, bowhunting, and off-road vehicle and snowmobile operation. 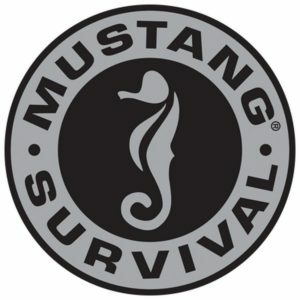 Mustang Survival is the leading supplier of quality flotation and personal protective equipment to the most demanding maritime and aviation customers including Coast Guard, Law Enforcement, Water Rescue Teams, Fighter Pilots, Commercial and Recreational boaters. The National Association of State Boating Law Administrators is a national nonprofit, 501(c)3 organization that works to develop public policy for recreational boating safety. NASBLA represents the recreational boating authorities of all 50 states and the U.S. territories. Learn more at www.NASBLA.org. It is through partnerships with caring individuals and organizations that we can truly make a difference. The NDPA recognizes and supports drowning prevention efforts for people of all ages and addresses drowning risks in all bodies of water. In our efforts to improve the safety of infants, children and adults in every culture, the NDPA emphasizes research, awareness, and policy changes to impact the incidence of drowning. Together we can make an impact and improve the chances of keeping our loved ones safer, in and around water. The National Safe Boating Council (NSBC) is a catalyst for recreational boating safety dedicated to advancing and promoting a safer recreational boating experience through education, outreach and training. The Rescu Swim’r is a deployable device that mounts to a ring-buoy or other throwable PFD. When the PFD is launched, the Rescu Swim’r deploys a rudder downward that makes the PFD tow at a 45-degree angle to the boat. Then as soon as the boat slows or is turned toward the man-overboard, the PFD immediately runs up to a 90+ degree angle to the boat. This creates a slow-moving catch-line running directly and slowly 90 degrees to the boat. The victim is contacted by the line/PFD on the first pass, almost without fail, and without bringing whirring steel propellers, or a bouncing multi-ton hull, near enough to ever harm them. 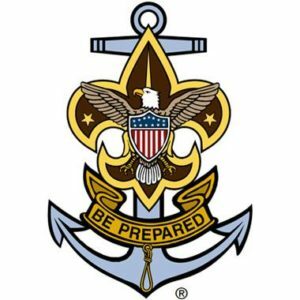 Sea Scout units – called ships – are established all across the country on oceans, bays, rivers, and lakes. They provide limitless opportunities and exciting challenges that you won’t ﬁnd anywhere else. Sea Scouts is a place to grow and learn, ﬁnd adventure, and build long lasting friendships. 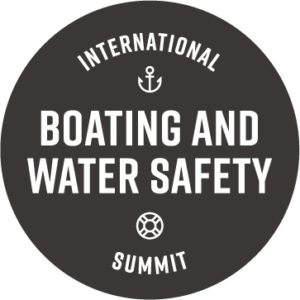 On a mission to promote and protect towed water sports, WSIA is the industry’s leading advocate who develops best practices, maintains waterway access, educates participants, promotes safety and facilitates sustainable industry growth. At Weems & Plath, we continue to take great pride in providing you with time-tested nautical instruments for safe and enjoyable boating. Our Products have become mainstays for you as innovation has become tradition. West Marine is proud to serve both retail and wholesale customers through our 260+ retail store locations and nationwide distribution network. Through our long standing relationships with government agencies, community organizations, research entities and marine trade groups West Marine embraces and promotes both boating safety and marine preservation.